(NaturalNews) It's no secret that The New York Times displays a liberal bias in reporting, even when publishing so-called "fact-checking" pieces examining statements made by presidential candidates in the debates. Roger Aronoff, editor of Accuracy in Media, decided to do some fact-checking of his own regarding a recent NYT article by Margot Sanger-Katz entitled: "Debate Prep: Fact-Checking the G.O.P. Candidates on Health Care." "Once again The New York Times is peddling its own false narrative about Obamacare's success, this time aimed at the Republican candidates. But while Margot Sanger-Katz claims to fact check Donald Trump, Senator Ted Cruz (R-TX), and Senator Marco Rubio (R-FL), it is her own reporting that needs an additional check. After all, why didn't Sanger-Katz include statements from Hillary Clinton or Bernie Sanders (I-VT) in her Obamacare fact check? Neither the Times nor The Washington Post seems eager to print anything that might undermine the Democratic candidates on this issue." In challenging Trump's assertion that insurance companies are making an "absolute fortune" under Obamacare, Sanger-Katz wrote that many insurers have "taken bigs hits or gone under." She admits, however, that "private plans sold to states for residents covered by Medicaid" have "flourished." Who really profits under Obamacare? As Aronoff points out, that means that the real profits are in government-provided insurance, including those generated from possible widespread fraud within the Obamacare system – as recently revealed by the Government Accountability Office. "On top of that, deductibles have gone through the roof, meaning that many of those insured by Obamacare policies won't benefit from their coverage since they are unlikely to spend enough in a year to reach their deductible, unless they have a major illness or accident in the family." While the largest insurers flourish – along with the beneficiaries of fraud within the system – many exchanges are indeed in trouble. "The fact that the exchanges are doing so poorly is just another reason why Obamacare should be repealed. As we have reported, Obamacare has resulted in skyrocketing premiums and poorer care for its enrollees. It has been a boondoggle for the American people. Yet Sanger-Katz's critique of the GOP candidates skirted the question of premium hikes on consumers, focusing instead on the income of insurers." By cherry-picking the data and ignoring inconvenient facts, Sanger-Katz downplays the shortcomings of Obamacare, while demonizing GOP candidates. For example, in refuting the claim that Obamacare is causing the loss of jobs, she uses the manipulated employment rate figures to support her argument. These statistics, of course, have little meaning in the real world, where the American labor force participation rate is "abysmally low." 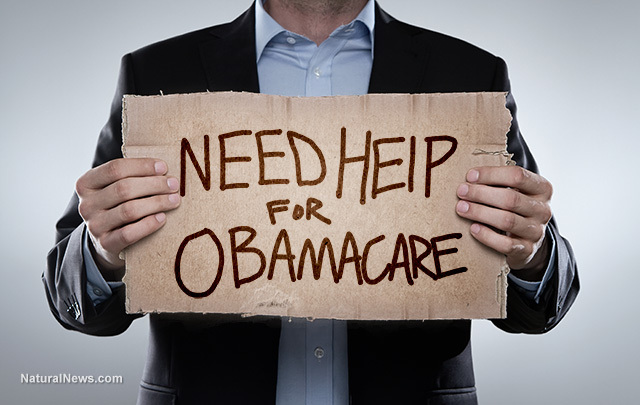 Ignoring the Democratic candidates' statements and positions regarding Obamacare issues – while challenging Republican inaccuracies – also serves to skew the debate in favor of the leftist agenda. "The fact that Hillary Clinton knew in 2009 that cost controls under Obamacare could involve rationing should have been a blockbuster revelation and a problem for her campaign. Instead the news media are delighted to focus instead on divisions within the Republican Party, and on Mitt Romney's attempts to undermine Trump." In a mass media market owned and dominated by a powerful few, objective journalism is pushed aside in favor of biased, agenda-driven reporting that serves only its masters – not the public good. The New York Times publishes little more than a steady stream of leftist propaganda; a balanced picture can only be found in alternative media outlets.